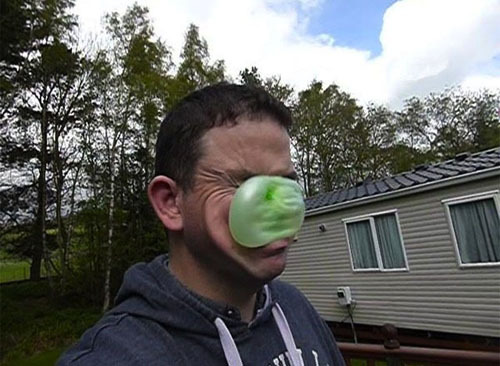 It might sound cruel, but photos of people (or animals) getting hit in the face are pretty funny. Now I know what you're going to say...."Dose of Funny, that's just mean! What if those people got hurt?!" Well we're here to tell you that nobody in these photos of people getting hit got hurt, and while we don't know that for a fact we're going to say it really loud and sternly like "What are you talking about! Of course they DIDN'T!" Mmmmk? 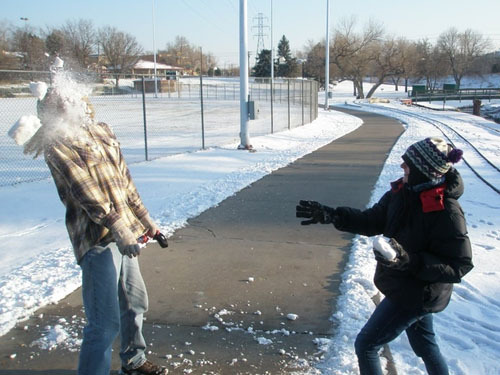 Check out these photos of people getting hit in the face, below, and laugh knowing that you are a mean and cruel person. What? We didn't say that! We kid! But seriously, these photos are going to make you laugh. From people getting hit in the chin with a baseball bat to a dog getting whacked in the face by a frisbee while trying to play catch, there are some real gems in here. And the beauty of these photos is that they pull double-duty. They're also perfectly timed! If you like perfectly timed funny photos, which we know you do, then be sure not to miss our gallery on the best perfectly timed photos around. You won't regret it! 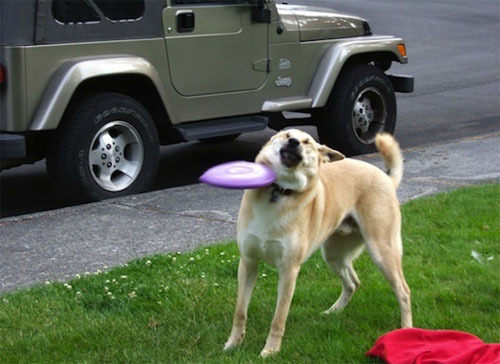 It might sound cruel, but photos of people (or animals) getting hit in the face are pretty funny. Now I know what you’re going to say….”Dose of Funny, that’s just mean! What if those people got hurt? !” Well we’re here to tell you that nobody in these photos of people getting hit got hurt, and while we don’t know that for a fact we’re going to say it really loud and sternly like “What are you talking about! Of course they DIDN’T!” Mmmmk? 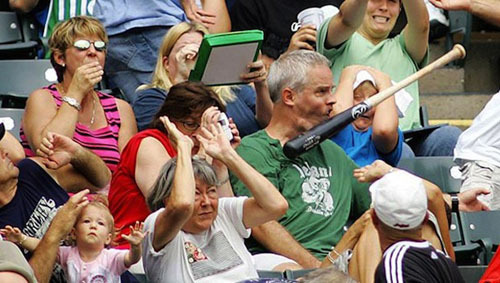 Check out these photos of people getting hit in the face, below, and laugh knowing that you are a mean and cruel person. What? We didn’t say that! We kid! But seriously, these photos are going to make you laugh. 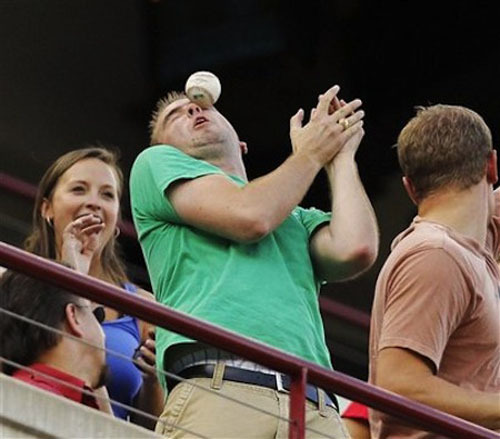 From people getting hit in the chin with a baseball bat to a dog getting whacked in the face by a frisbee while trying to play catch, there are some real gems in here. And the beauty of these photos is that they pull double-duty. They’re also perfectly timed! If you like perfectly timed funny photos, which we know you do, then be sure not to miss our gallery on the best perfectly timed photos around. You won’t regret it!